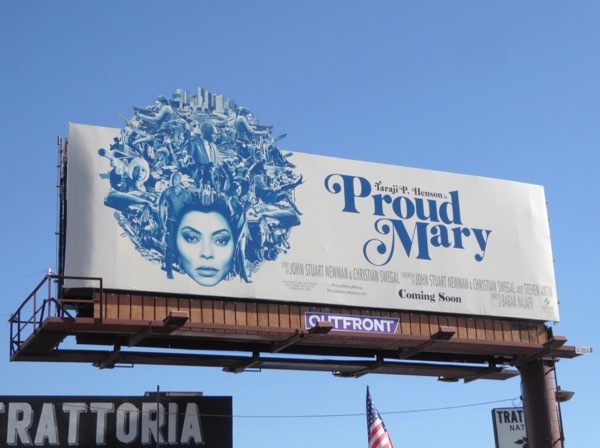 These fierce and fabulous Proud Mary billboards filling L.A.'s New Year skies are certainly evoking the feel of Pam Grier's Foxy Brown from the 70s and we're sure that's not a coincidence. 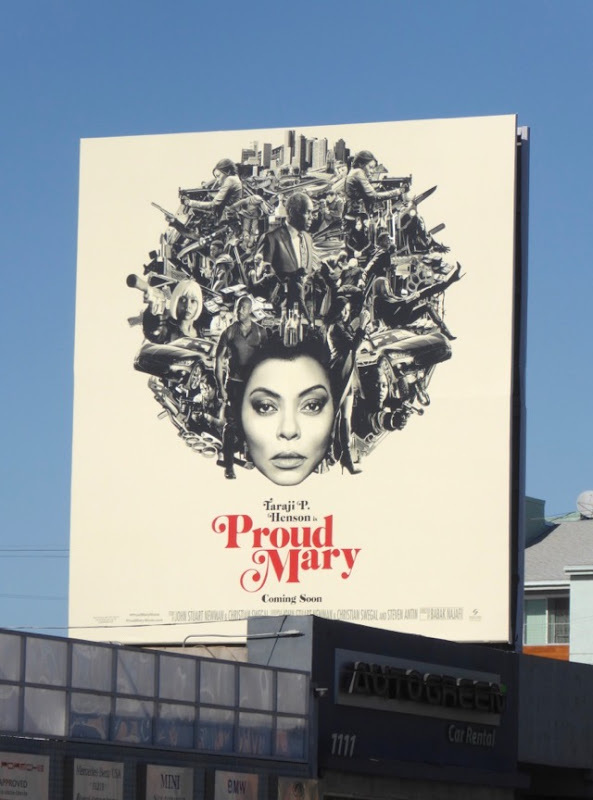 In this new action thriller Taraji P. Henson stars as a sleek and deadly assassin working for a Boston organized crime family whose life is changed when a professional hit goes wrong and she crosses paths with a young boy. 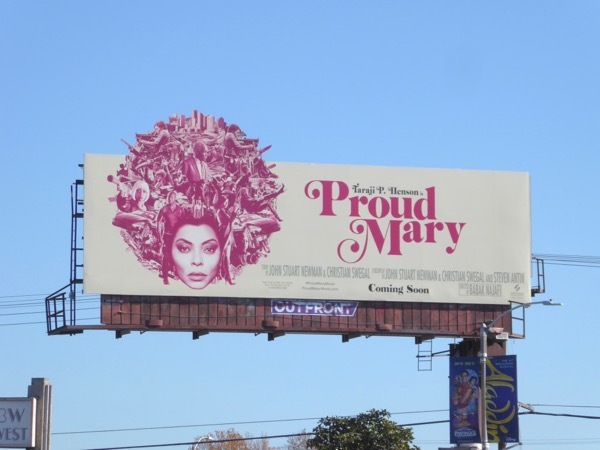 These hair-raising Proud Mary billboards were spied along the Sunset Strip, Pico Boulevard, La Cienega Boulevard and Beverly Boulevard from December 21 to December 27, 2017. 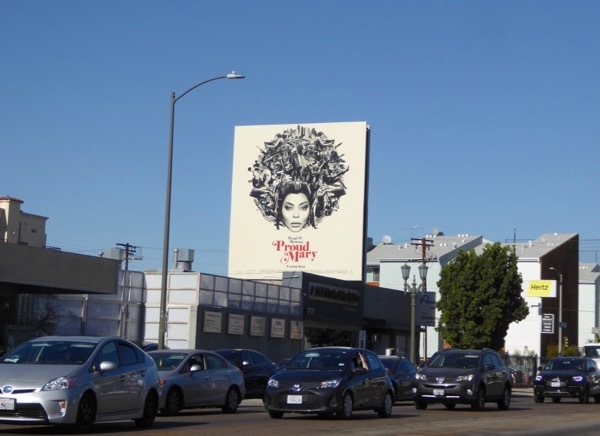 Taraji P. Henson fans can also see more of the actress in these Empire TV billboards, these Hidden Figures movie billboards and this PETA anti-fur billboard. 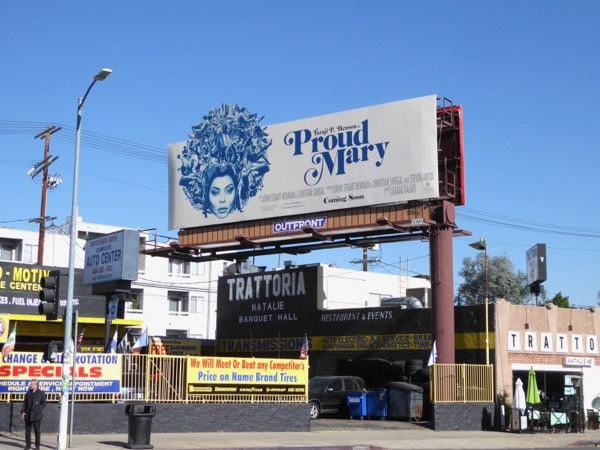 Plus for another Blaxploitation-inspired ad creative be sure to also check out this Shameless season six billboard. 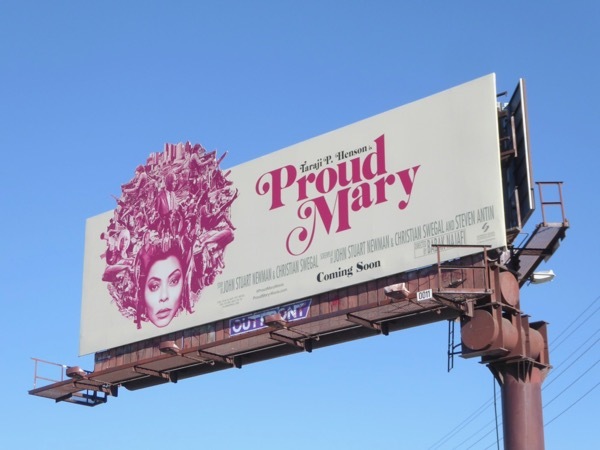 Proud Mary certainly knows how to make a big impression with these striking outdoor ads, but let's see if her charms can keep on burning when her film is rolling onto cinema screens this January. 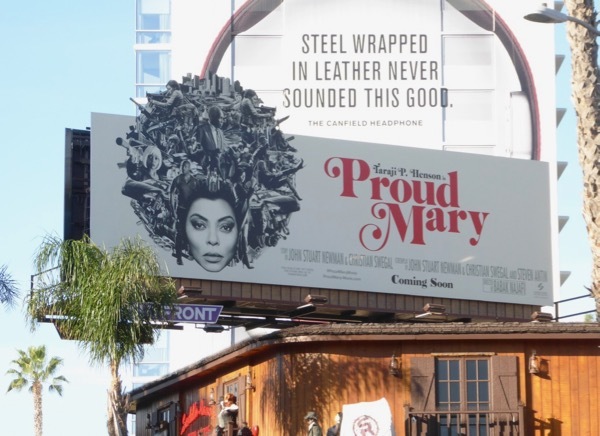 UPDATED: Here's another example of the cut-out billboard spotted along Vine Street on January 11, 2018.